33’ - Oba hit that with his knee, thigh and shin at a full sprint before he knocked it in. I can barely sprint. 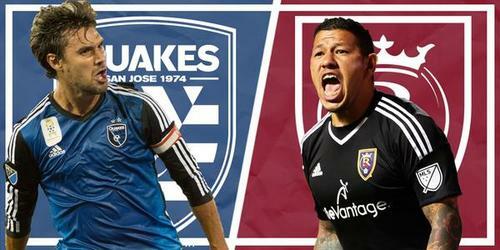 Nagamura will miss the next MLS match after picking up a yellow card. 35’ - Nagamura is booked, will miss SKC’s next match at Portland next weekend. 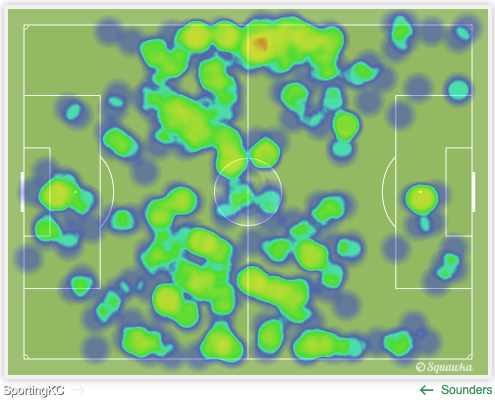 Seattle hasn't taken advantage much, but several #SportingKC turnovers today have come in really bad spots. 38’ - Quintilla gets in Pineda’s face after a foul. Hard knock life in KC. 40’ - Ellis picks out Quintilla in midfield, and he’s knocked over for the FK from about 25. Anor’s FK is… not good. 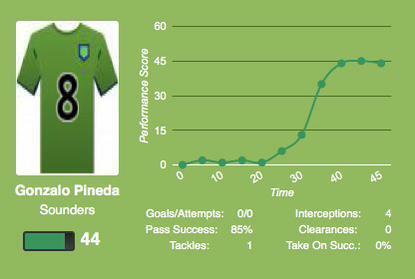 43’ - Sounders rocking back on their defensive haunches, like a lion that just ate lunch. 45’ - Alonso, who’s a bit feisty today, nabs a yellow that was coming, in all honesty. 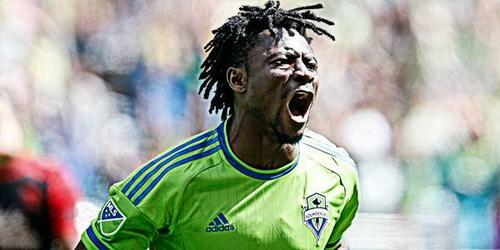 HT: @SoundersFC lead SKC 1-0 on the road off an Oba Martins goal. This game’s been a right roll in the mud so far. 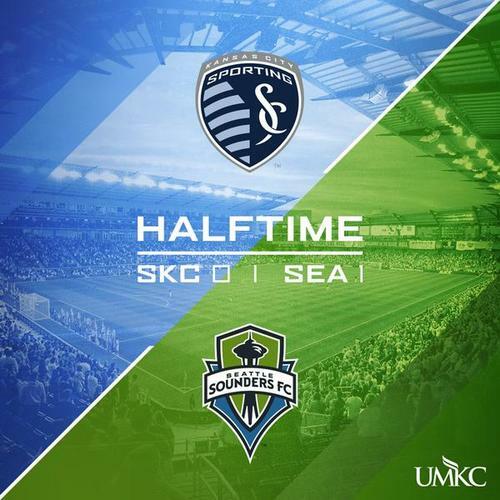 Halftime: Seattle 1 (Martins), #SportingKC 0. That's the sixth straight game Sporting KC has been held scoreless over the first half. Halftime update: The UMKC kangaroo is a horrible keeper. Seattle keeper Stefan Frei made five saves in the first half. That's at least four more than we just saw from the UMKC kangaroo. Mustivar checks in for Nagamura at halftime. SKC’s Soni Mustivar, a holding midfielder, enters for Paulo Nagamura, another holding midfielder (on a yellow). 47’ - Dempsey’s knocked to the ground for a foul less than two minutes into the half. Off to a similar start, I see.